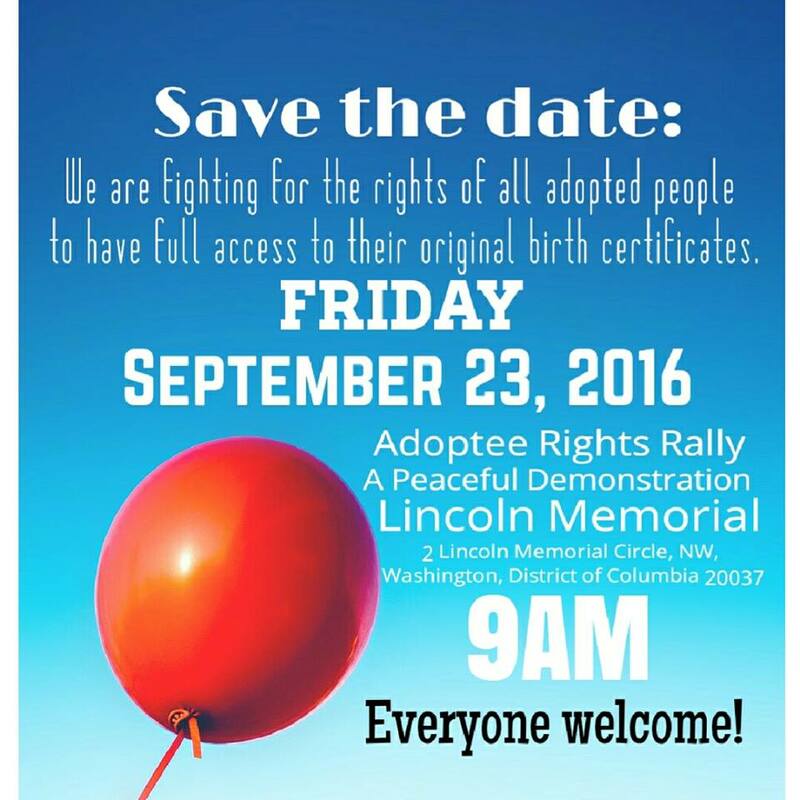 An Adoptee Rights Rally For Truth-2016 Get On Board! As the adoptee community begins the process in planning the Adoptee Rights Rally 2016 I sit here and wonder why there aren’t more non-adoptees supporting us. Or are they but just choose to sit silent? I think they are afraid to speak up and speak out and even click “like” on posts that adoptees are sharing these days for fear of what others think. Will it show up on my timeline? Will others think bad of me for going against the grain of what the “Adoption Industry” portrays? I would like to ask all non-adoptees to try to pull themselves away from the world’s view of “adoption” and place themselves in our shoes for a moment. Imagine growing up your entire life not looking like anyone, not knowing where you come from or who your people were. Imagine going on a date as a teenager or adult, and not knowing whether your date could be your cousin, or sibling or someone blood related to you. It’s always in the back of your mind, but you will never know the truth about who shares your DNA because “adoption laws” from centuries ago say so. Laws of man are standing in your way. Every day is a question mark hanging over your head, and you try to search for those who might look like you and you wonder ever y single day if they ARE related to you. But you will never know because again, laws of man are standing in your way. You have children of your own, and not only do you have to put “ADOPTED UNKNOWN” down as your medical history, but you have to put it down for half of your children’s medical history. Everything of every day is UNKNOWN and NOTHING is CERTAIN anywhere in your life. This is simply because you are adopted. Memories that can never be replaced are gone forever. You are forced to be thankful because a family “rescued” you when your own family didn’t want you. When you have feelings of sadness or despair, you are told to just get over it or move on. Or simply be thankful for LIFE, after all God knitted you together in your mother’s womb and he knew every hair on your head before you were ever born and you are a GIFT FROM GOD. The world leaves no place for your sadness, or heartache because you made someone’s dreams come true of being parents, especially those with infertility issues. You are more like a pawn, used to make other’s happy with no say so in what’s happening to you. Your feelings don’t matter at all, unless they are feelings of happiness and gratification of course. You struggle to bond with anyone around you, because let’s face it. They are nothing like you. There are no connections. You are alone and your feelings don’t matter. Your adoptive parents make it a point to make you “feel good” about your adoption experience, which they have good intentions, but this diminishes any feelings of sadness of your grief and loss so you grow up your entire life hiding how you truly feel. As you get older, your deep sadness turns to anger, rage, and you start to act out and hurt those around you. Contemplating suicide over and over because no one will help you and no one understands you! All you really want is your TRUTH! Where are the people that look like me? SOMEONE HELP ME FIND MY PEOPLE!!! WHY IS MY [His]Story & [Her]Story BEING KEPT SECRET FROM ME? WHY ARE THOSE THAT SAY THEY LOVE ME LYING TO ME? Do I need to continue on? This never ends my friends. Adoptees all over the world are just SCREAMING TO FIND THEIR PEOPLE! THE ARE BEGGING FOR THEIR TRUTH! Regardless of the laws of man from centuries ago, My God is a God of TRUTH and just because our biological mothers and fathers made decisions that had NOTHING TO DO WITH US doesn’t mean we should have to keep paying for their mistakes. Society, [yes you!] 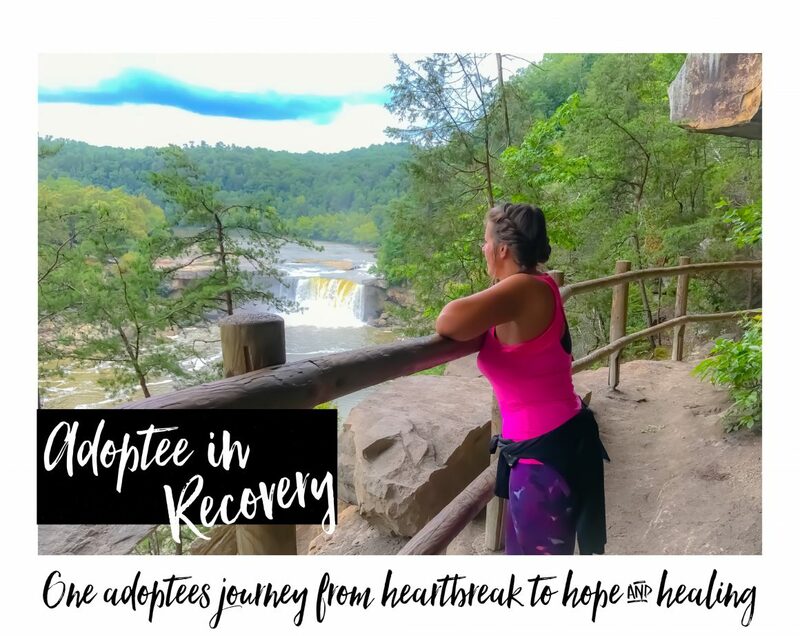 has placed this heavy burden upon us [adoptees] that if we don’t FEEL a certain way, we’re just angry, or focusing on the bad. Society has to make a change and understand that we only want our truth so we can move forward and HEAL! We can’t heal from half truths, and lies and secrecy. It’s time the rainbow colored glasses come off, and the truth come to LIGHT about secrecy surrounding many adoptions today. Secrecy is from the DEVIL. TRUTH is from GOD. There is no reason on earth we should have to go to WASHINGTON, DC to have a peaceful demonstration to get what’s rightfully ours, OUR TRUTH! But the fact is, we do because the world is still operating on laws from centuries ago. I understand this might not be important to you [non adoptees] because you aren’t adopted or you aren’t impacted by adoption in anyway but what about this being a human rights issue? Why not support TRUTH for ALL ADOPTEES ALL OVER THE WORLD JUST BECAUSE IT’S THE RIGHT THING TO DO? WHY ARE WE FIGHTING LAWS OF MAN FOR OUR TRUTH? YOU’RE EITHER FOR US [TRUTH] OR YOU’RE AGAINST US [SECRECY]. THE TRUTH MEANS NOTHING HIDDEN! So I’m asking all non-adoptees today to PLEASE open your heart and ears to what adult adoptees have to say about the secrecy and lies involved in altering birth certificates, and keeping them sealed from adoptees all over the world. We all deserve to know where we come from, and we all deserve to know our history, medical history, ancestry, siblings, our birth records, and to have our original birth certificates. YOU DON’T HAVE TO BE ADOPTED TO GET ON BOARD WITH ADOPTEES FINDING OUR TRUTH. WITH ADOPTEE SUICIDE RATE 4X MORE LIKELY THAN NON ADOPTEES WE AS A SOCIETY CAN’T CONTINUE TO BE SILENT ABOUT SOMETHING SO IMPORTANT. ARE WE GOING TO CONTINUE TO IGNORE THESE FACTS? I’m not saying I’m against adoption. I’m against secrecy and lies that surround adoptions because these secrecy and lies have had a direct impact on me and my children and hundreds of thousands of other adoptees out there. It’s time all adoptees get equal access to their original birth certificates just like the rest of society. All those that believe in the TRUTH please consider attending this event to support a great cause! You don’t even have to attend this event. You can “LIKE” or “SHARE” posts on Facebook regarding this event, or adoptees speaking about finding their truth. Anything HELPS! YOU DON’T HAVE TO BE ADOPTED TO BELIEVE IN TRUTH! What’s stopping you from Supporting Adoptee Rights? IT MEANS SO MUCH TO ADOPTEES FOR NON-ADOPTEES TO SUPPORT US! It’s simple, you’re either for us or you’re against us. CLICK THIS LINK TO JOIN THE INVITE! What can non-adoptees do to support adoptees? Get on board for open records and support us in stopping the secrecy that surrounds many adoptions today. Get on board with adoptee rights. Understand the secrecy that we are experiencing is strong, and it’s still thriving today in most adoptions. Take the blinders OFF and listen to what adult adoptees are saying. ADOPTEES HAVE VALID VOICES TOO! We all deserve to be able to move forward and heal, but without our TRUTH healing can’t happen. Think about it. Next Can I Cry Now?